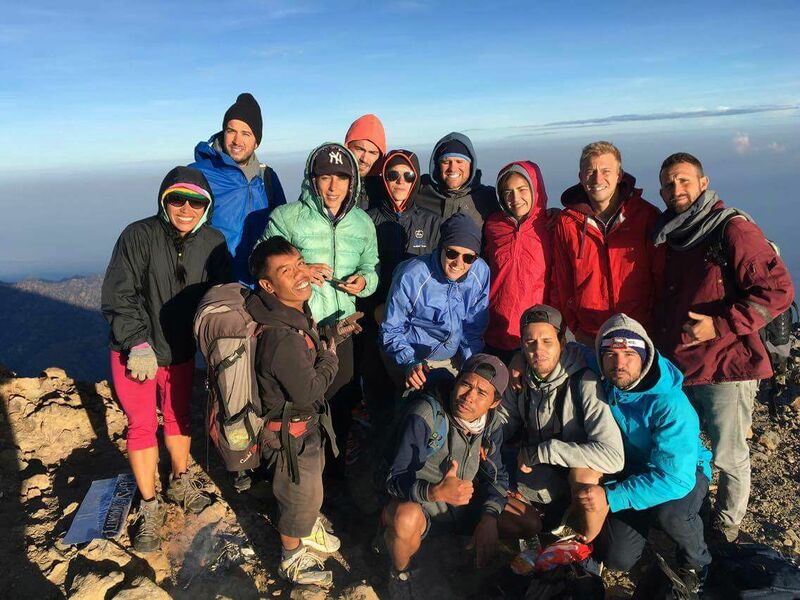 Mount Rinjani Trek 3 Days 2 Nights Summit via Sembalun, start on 1.156 m at Sembalun village to sembalun crater rim, summit, lake, hot spring, Senaru crater rim and down to Senaru village. Wake up at 6.00am and get breakfast at 6.30-40 and our special mountain car will ready to bring us to sembalun village for 45minute /1 hour ,arrive here approx 8.00am then Registration in Rinjani Information Center (RIC) 1051 m and start the trek to Pos 1 (Pemantauan) 1300 m, walking time is about 2 hours. We take a rest for 5/10 minute at Pos 1 ( pemantauan,) and then continue to Pos 2 (Tengengean) 1500 m walking time about 1 hour. We take short break here for 5 to 10 minutes at Pos 2 ( Tengengean ), and then we continue our journey to Pos 3 (Pada Balong ) 1800 m, walking time is approx 1 hour. We rest for 2 hours at Pos 3, then your guide and porters prepare for lunch, and a hot drink (tea, coffee, hot chocolate or lemon tea). After lunch and a rest, we continue to heading Sembalun Crater Rim (Pelawangan Sembalun) 2639M, walking time 3 hours including a prolonged steep climb. We will camp the night at Sembalun Crater Rim, then from here we can enjoy the awesome views. As the sun sets, and sunrise for the next morning , Segara Anak lake, Sembalun village, the summit of mount Rinjani half of nort lombok can be seen from here. We wake up at 02:30 am and have some light breakfast then leave at 03:00 am we start the trek to heading Rinjani Summit (3726 m). Walking time approximely 3 hours and 20 minutes. The first stage is a moderate climb for 120 minutes, while the second stage is a fairly easy but long trek. The last hour is very steep and difficult. (There are many loose stones, and as you take two steps forward you will slip one step back). From the Summit, you can see all of Lombok island, Bali, Sumbawa and Segara Anak Lake. After sunrise we will go down to the Sembalun crater rim and have a hot breakfast. After breakfast and a rest, we will go down to the lake and hotsrpring the trail down is very steep and slippery beware and extra carefully we need 3 hours to get in to the lake and hotspring,the lunch will be provide by the lake and hot spring just 100m walk from the lake then we will explore the lake and swimming bye hotspring soak in and healing your skin as medicine during on the lake fishing bye the local people can be arrange here too,then climb to Senaru crater rim 2.641 m for camping and sleeping with your own dinner here.